When Darius Rucker transitioned from rock to country music, it was his wife, Beth Leonard, who encouraged and supported him. Today, Rucker is a successful country music artist and he thanks Leonard for everything. She had a successful career at VH1 before giving it up for the most satisfying job in the world ─taking care of her three adorable children with Rucker. The lead vocalist and the rhythm guitarist of Hootie & the Blowfish, Darius Rucker, forged a successful career in country music. He made a triumphant transition from being a rock singer to a solo country music artist and released five studio albums, as well as a clutch of successful singles. Is Darius Rucker married? Yes! Rucker has been married to Beth Leonard for the past 17 years, and the couple are still going strong! In fact, the person who made his musical transition possible is Darius Rucker’s wife. He even revealed that it was love at first sight when he saw Leonard. Here are some details from Beth Leonard’s wiki. And the couple has been together ever since! They got married in 2000 and now have two children of their own, though he has a daughter, Carolyn Pearl Phillips (from a previous relationship), who was born in 1996. 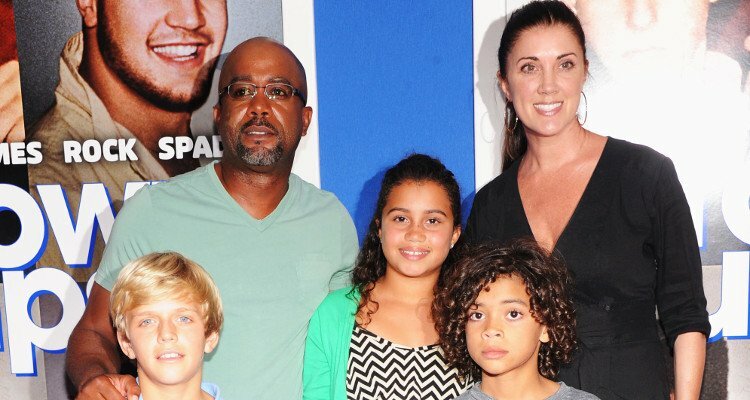 Darius Rucker and Beth Leonard have two children together: Daniella Rose, born in 2001; and Jack, who was born in 2005. Happy 22nd to this brilliant beautiful and talented young woman. U love u Cary!! Leonard seems to like being away from the limelight as she is not active on social media. With a musician husband and children vying for her attention, who could blame her? Rucker has a tight schedule, and Leonard has adjusted to this unpredictable lifestyle. He gives her the credit she deserves saying, “Beth’s a strong woman. It takes a strong woman to be married to a musician, especially a musician who was drinking and partying as hard as I was.” He further added, “And I thank her every day for staying with me and being the strong woman she is.” With Rucker’s career on the upswing, the children growing up, and Leonard at the helm, this relationship will keep getting better with time.